Ever since autonomous cars became a real thing, people have struggled with the moral dilemma of training these vehicles on what to do when faced with a situation where there is no safe solution. In a recent interview with Car and Driver, Mercedes-Benz executive Christoph von Hugo revealed that their self-driving cars would choose to save the occupants – even if that meant hitting a pedestrian. One common no-win scenario involves a car is making its way down the street when suddenly a pedestrian steps out in front of it. The vehicle can’t possibly brake in time, but swerving would mean either hitting another pedestrian or a pole which would certainly be catastrophic for to the vehicle’s occupants. The moral dilemma here is clear. Whose life is more important? 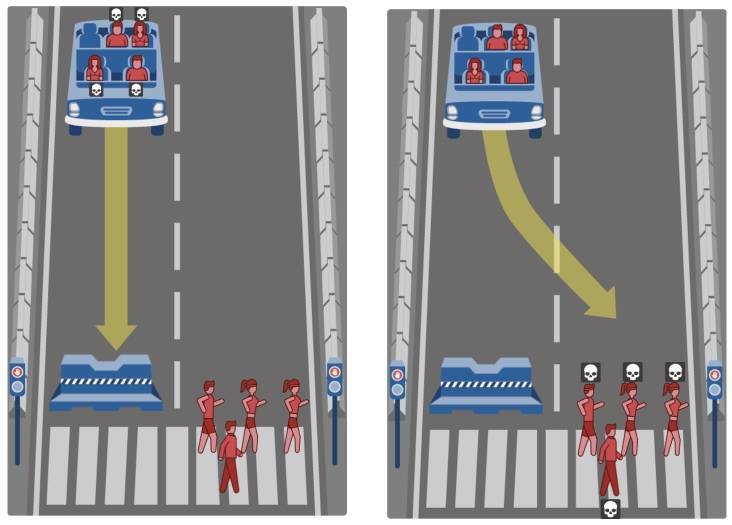 The folks at MIT have created a test you can take to help determine how morality can be built in to autonomous vehicles in times like these. Its Moral Machine presents you with scenarios involving different types of pedestrians – forcing you to choose who to hit, or whether or not the occupants of the car should be given priority. In MIT’s scenarios, you make some tough decisions. Should you hit the group of three young females or five elderly females? Are dogs as important as humans? If pedestrians and occupants are of the same demographic, who should the car spare? Google has been tackling these questions and more with its own autonomous system – recently teaching it to be considerate to different types of wheeled traffic in addition to pedestrians. Cyclists, in particular, are a difficult subject for autonomous vehicles to predict. They don’t all obey the set of rules of the road, often swerving between lanes and zipping through stop signs. Because of this, Google decided to tweak its algorithm to be extra careful and courteous around them. 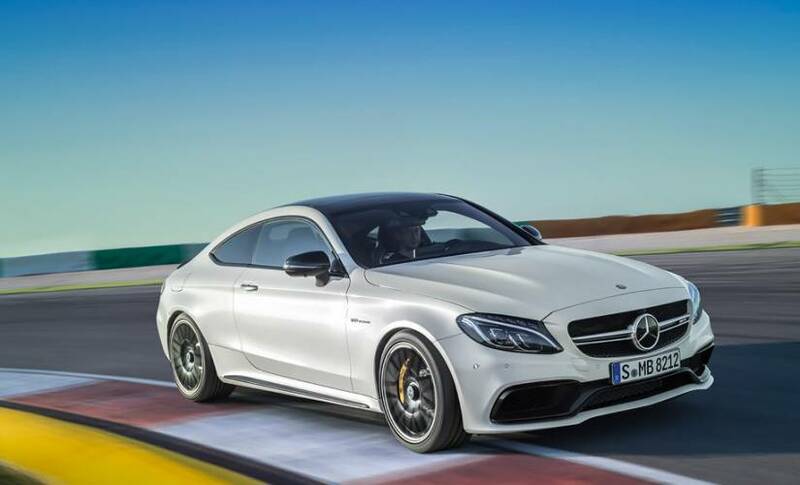 Mercedes-Benz has made a difficult decision for its customers. While the car will examine any possible way to save all lives, it will choose to prioritize its occupants when presented with a no-win scenario. Not everyone would want to sacrifice strangers over themselves. In fact, a recent study found that a majority of drivers would prefer that their lives were given a lower priority than that of a pedestrian. For them, at least, purchasing a level 4 or 5 autonomous vehicle from Mercedes-Benz will become a moral choice. Still, there are many drivers out there that would expect the vehicle to put their lives ahead of anyone else’s. After all, it’s their car and they’d expect it to prioritize their interests first. For them, a Mercedes-Benz would be exactly what they’re looking for. It’s not all doom and gloom for pedestrians in the roadways of the future. Autonomous cars have been found — even at this early stage — to be far safer than human drivers. So, the likelihood of a no-win scenario like this one presenting itself is much smaller. This will be especially true when autonomous vehicles reach a point of saturation among consumers, outnumbering those driven by human. With over 35,000 road fatalities occurring each year in the United States, it’s clear that humans are imperfect drivers. We distract easily, have an inherent delay in our ability to make decisions and act upon them, and have trouble seeing the whole scenario before us in the split second it takes to respond. Autonomous vehicles have an advantage over us there. They have a 360-degree view on what’s around them, and the ability to detect hazards and respond instantaneously. They also don’t get distracted by text messages and makeup application.